The Hawker Fury was the first RAF’s fighter able to fly at a speed exceeding 200 mph in lever flight. This part one narrates the development and production of the Fury and the career of the Fury Mk.I in the RAF. This part includes also the full story of the Fury in South Africa, which fought against the Italians in East Africa in 1940-1941. The SAAF Furies were eventually withdrawn from use in 1943. 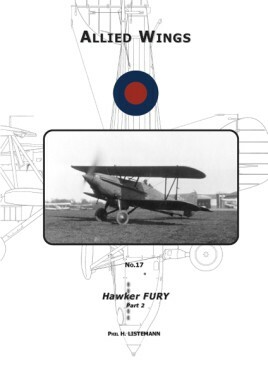 New material has become available from South Africa giving today the most complete story on the Furies in the SAAF. This issue is illustrated with over 40 photos and 6 color profiles giving a new reference for the historians and modelers alike.